It has been a while since I posted anything crafty on here- most of my creations are now on my Close To My heart blog, CTMH Craftings. However, I thought this mini album warranted a look as it related to my life as a stay at home mum, and is a great reminder of the little moments of my life that make me happy. A colour challenge came up on my blog feed just as I was cleaning out some older papers and embellishments, and it was just the kickstart I needed to finally do something with my stash. Here is the front cover- I really liked the "this is my happy place" quote that was cut on my Cricut as it inspired this entire album! 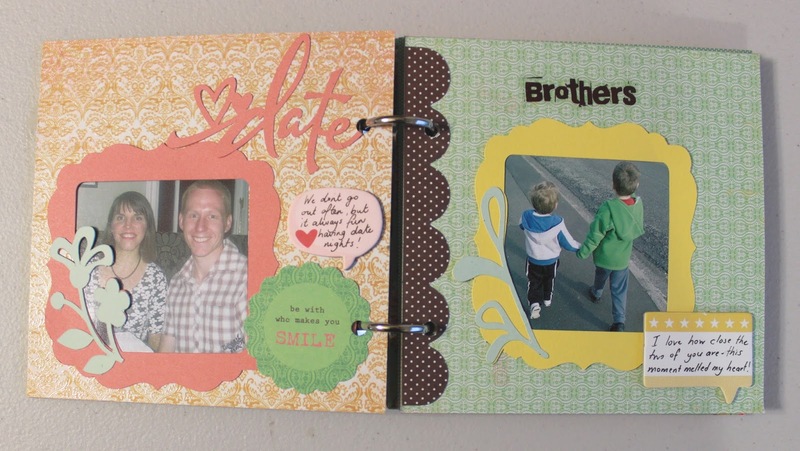 The first two pages talk about my husband and two boys- I loved the retro papers and the speech bubble accents so finally broke them out of their packaging and used them! All the frames were cut on my Cricut and I added some extra embellishments and journalling. Baking always relieves my stress levels, and getting out and about with my family is another feel-good moment. I must admit though, sometimes I need a wine! And of course, I love to craft. The retro housewife stickers were waiting for the perfect project, and I also used some metal flower embellishments. Coffee is another pick-me-up in my life, and this quote sums up my morning perfectly. Waking up to these three gorgeous faces helps too! 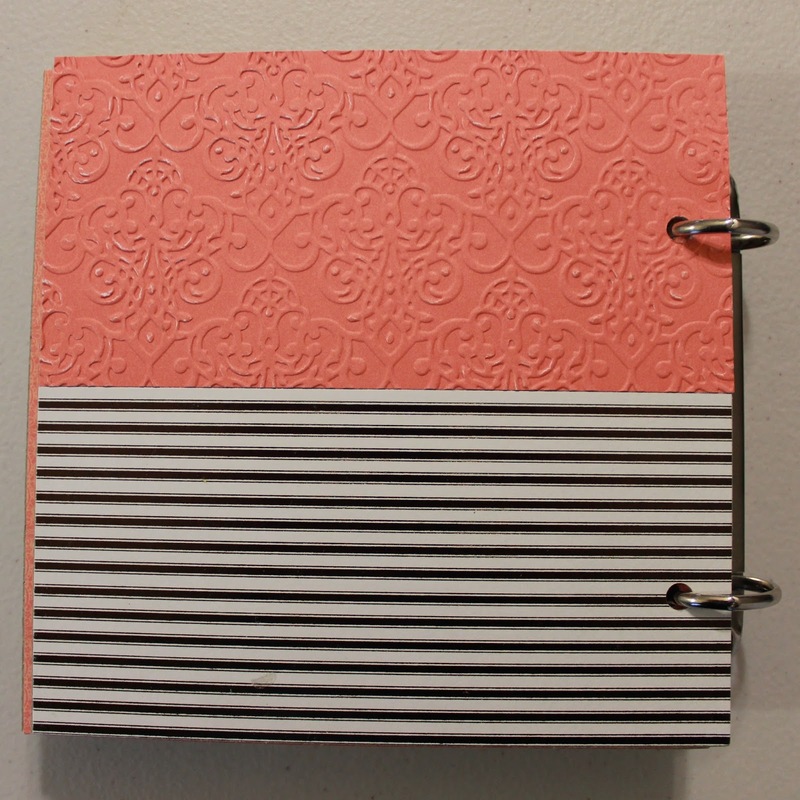 I kept the back simple with some embossed cardstock and extra striped paper. 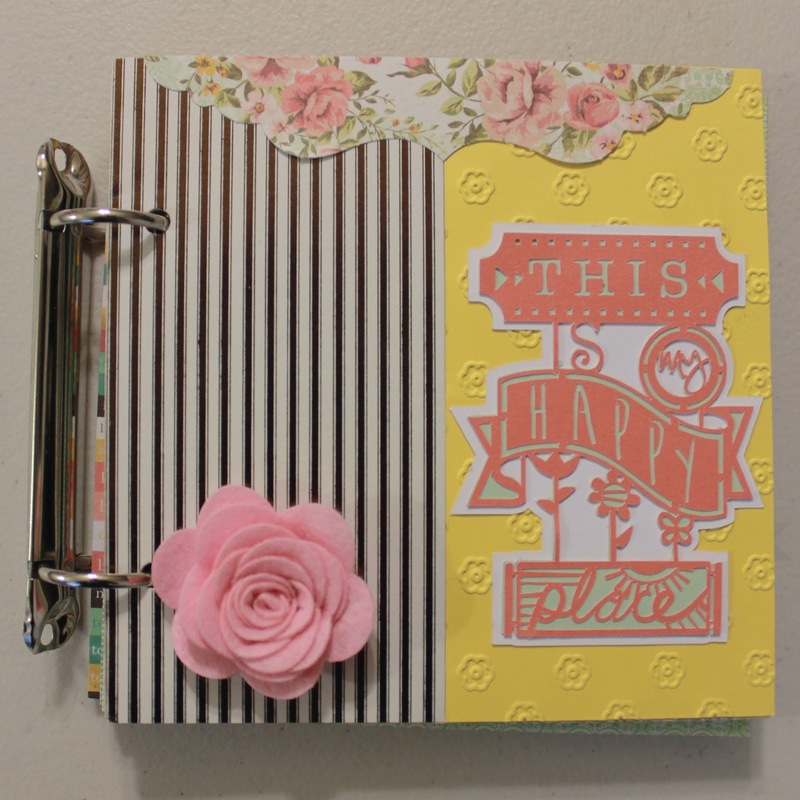 I encourage you to document the things that are your "happy place", whether it be in a journal, notebook or mini album, or even a note on your fridge! Reminding myself what really makes me happy in my life was such a great experience and it made me appreciate my family (and my coffee) more. 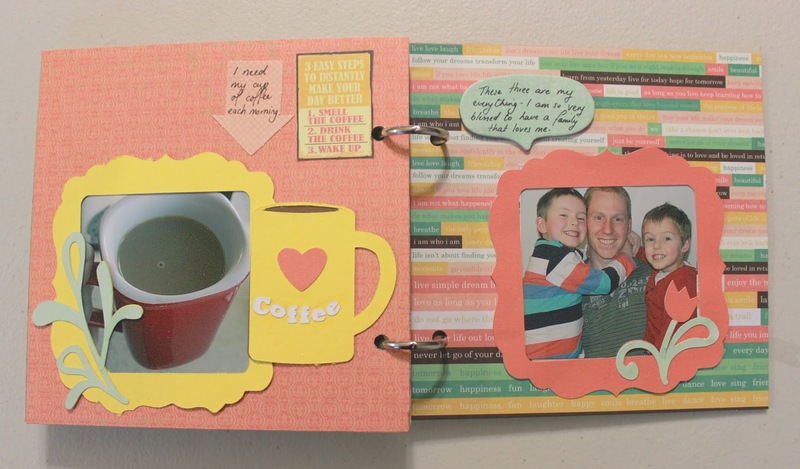 Linking up with The Creative Corner and Just Add Ink! Beautiful way to celebrate, and reflect on, the simple joys in your life, Lauren. Thanks for joining in the fun at Just Add Ink this week! Hi Lauren!! So glad our challenge colours gave you a boost for this gorgeous album. 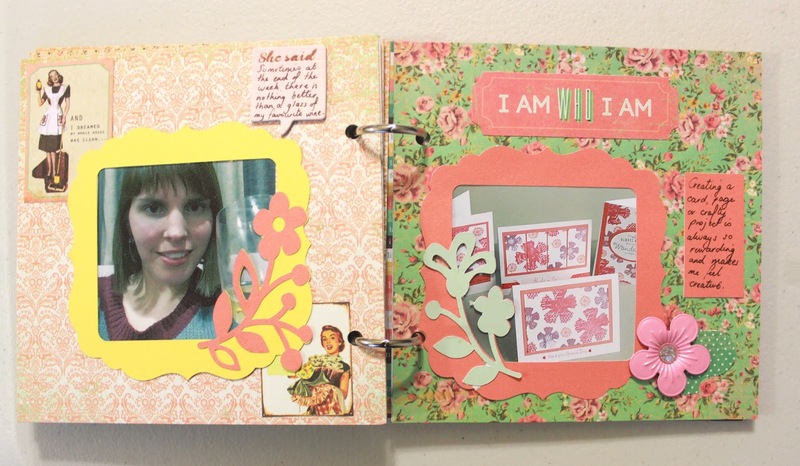 Its beautiful and I love all the different patterned papers and embellishments you've used. Will have to have a look at your other blog now and I'm so glad you joined us at Just Add Ink this week!! 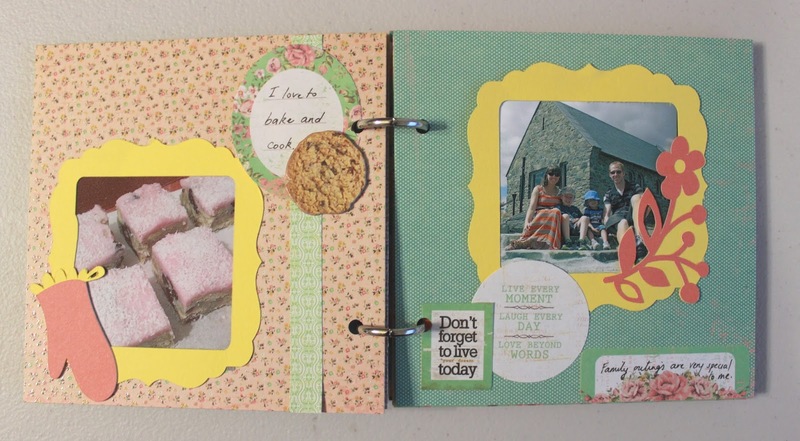 What a fabulous mini album Lauren, every detail reflects the joy you have in your family. So glad our challenge inspired you to put it together! Thanks for joining us at Just Add Ink this week.